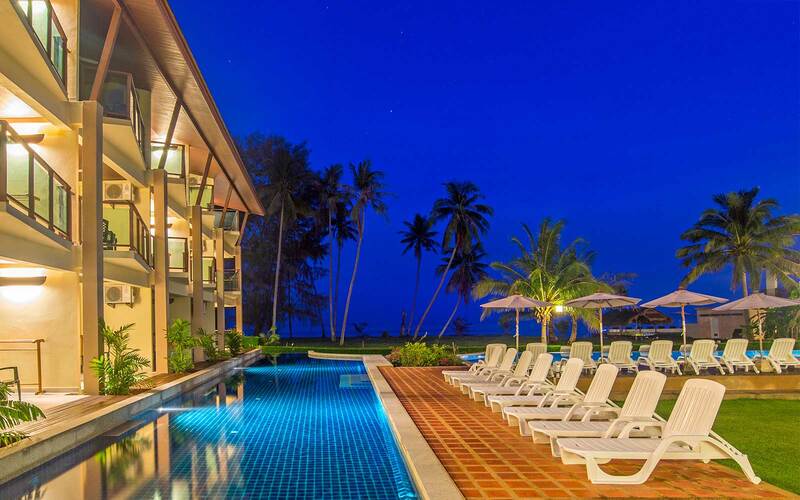 The resort is conveniently located right next to the sea at the Andaman coast of southern Thailand. 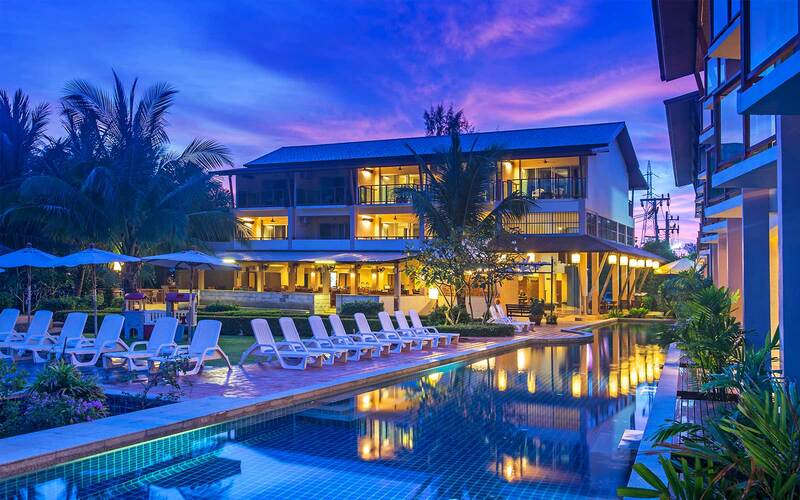 This luxury resort is nestled in private beach with a state of two adult swimming pools and one child swimming pool. 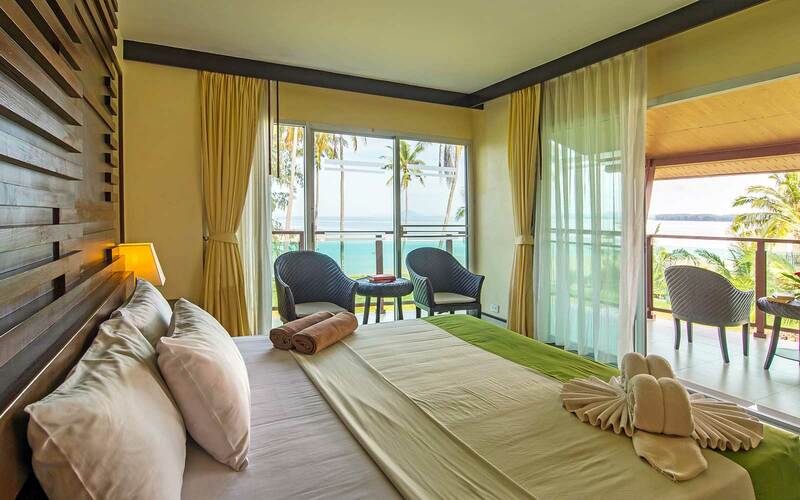 This modern-style club resort has a total of 108 guest rooms on offer. All rooms with air-conditioning, specious balcony/terrace with outdoor seating area. Facilities include a hotel safe, sunset restaurant, outdoor Jacuzzi, free wireless internet access and car park. Guest can also take advantage of the room and laundry services on offer. Each room has an en suite bathroom and all basic facilities. The outdoor swimming pool has a children’s swimming area. Refreshments are available from the poolside snack/cocktail bar. 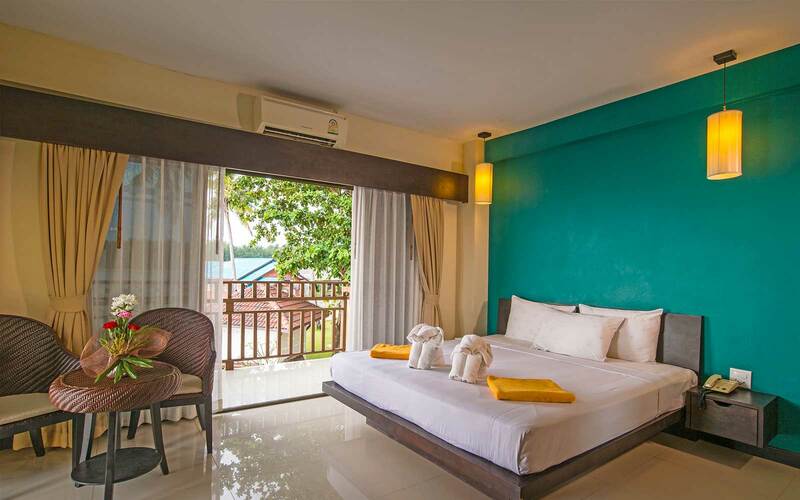 Guest can enjoy a massage treatment and go diving during their stay. The hotel serves a breakfast buffet. Lunch, dinner is available as either a set menu or a’ la carte. The closest public transport is available at the pier which is about 300 meters away. at our front resort only 200 meters at the east side from our resort, you will found a big shopping center, Banks, the best seafood restaurants, night/local market, Health center, School, Temple, Police station. Many tour service are available for Koh Rok island, 4 Islands/Emerald cave, Koh Phi Phi/maya bay, Scuba diving elephant trekking, Kayaking, fishing, exploring the cave, National park, Old town, Half or one day around island and much more. During the months of May to October, some tours do not operate every date. Locations Nearby : Krabi town, Ao Nang, Railay, Phi Phi, Phuket, Koh Yao, Koh Jum, Koh Haa, Koh Bida, Koh Ngai, Koh Mook, Koh Kradan, Hin Daeng, Hin Muang. Boats to Lanta available from : Krabi town, Phuket, Phi Phi, Ao Nang, Railay, Koh Ngai, Koh Kradan, Koh Mook, Koh Jum, Koh Yao, Koh Lipe and Langkawi. 1 May – 31 Oct. Enjoy Thai and International food from the cuisine. The open air setting is relaxing and atmosphere with " Seaview Restaurants" are set surrounding by great view, where an experienced team of chefs create both Thai and Western cuisine. There is also Pool bar right on the Swimming pool. Many special Thai dish and western cuisine prompt to service you at the open air restaurant also enjoy with our special cocktails at the pool bar. Thai traditional massage, Oil massage, Foot massage, etc. All cocktails be set a happy hour on the evening time.